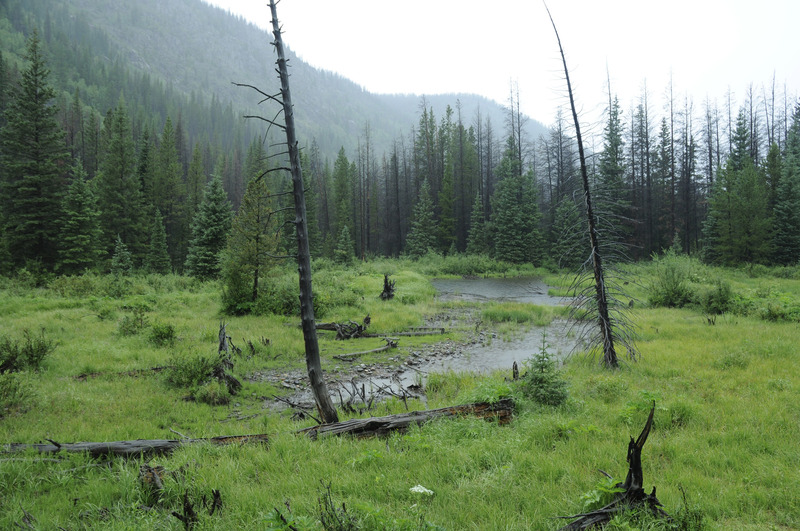 This open meadow and beaver pond complex, located at 9,600 feet above sea level, is on a small tributary of the Illinois River in North Park that highlights the varied habitat at this elevation. The Illinois joins the Michigan River near the town of Walden in the middle of North Park. Here one can see moose, beaver, elk and occasionally bear.